With the WORLDPIPE approach, First Mile encoding + transport has been reduced to a low fixed price per channel. 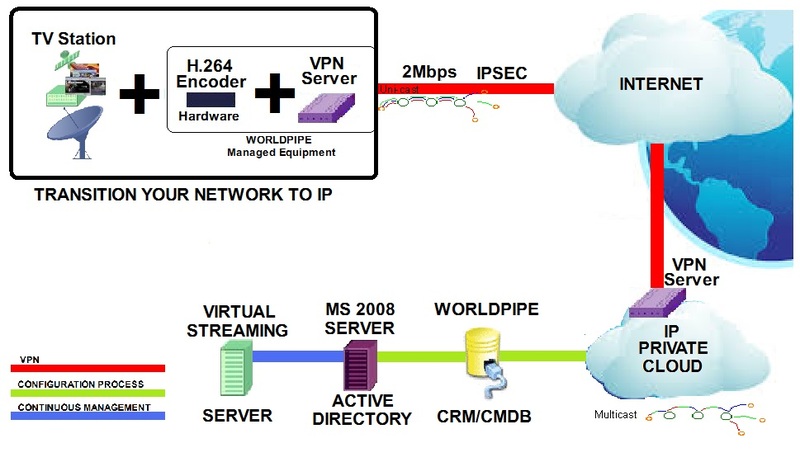 WORLDPIPE has the ability to quickly transition traditional First Mile TV transport (Satellite) to an all-IP, cloud based virtual plant. Whether your company is looking to build/roll out a new Telco OTT, TV Everywhere/TV Anywhere service or if you are looking to transition to all IP based video; WORLDPIPE can help get you on the right path.